Inspired by Evan’s excellent article on German panzer markings I thought I would give the same treatment to the humble Italian tanks. One of the great things about painting Italian armour is the tactical marking system. 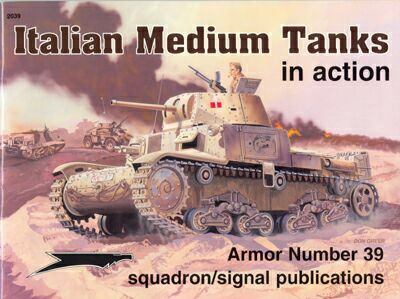 As well as looking good it is also a good aid in keeping track of your different tanks and platoons during a game, especially if you are fielding a whole Compagnia Carri. 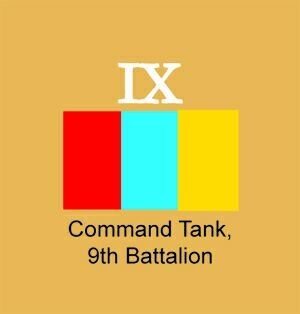 The number of the tank in the platoon was shown by a number above the rectangle, it was in the company colour. Battalion and Regimental HQ companies were also marked in this way, the Battalion rectangles were black with white bars while the Regimental rectangles were White with black bars. 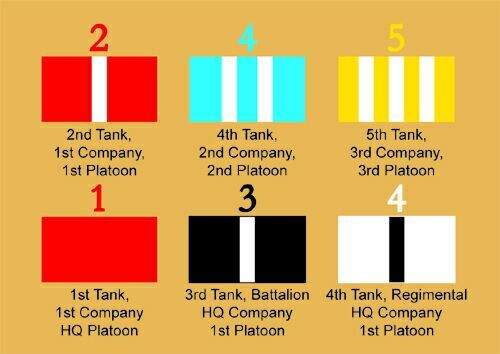 A battalion commander used a rectangle divided into three vertical bands of Red, Sky Blue and Yellow instead of the black rectangle and white bars. 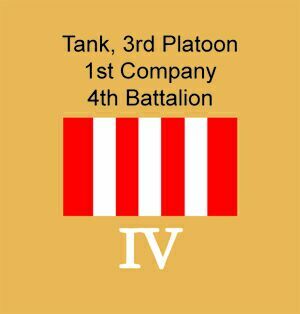 Above the rectangle was the battalion number in roman numerals. 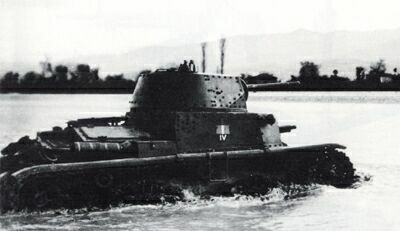 The rectangles were usually placed on the turret sides and back, occasionally they were placed on the hull sides and rear instead. 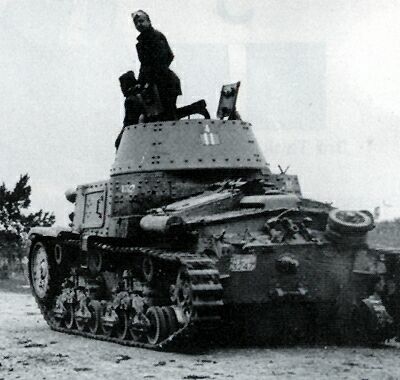 Sometimes the battalions and regiments were marked on Italian tanks. The regiment numbers were usually found on the rear corners of the hull superstructure. 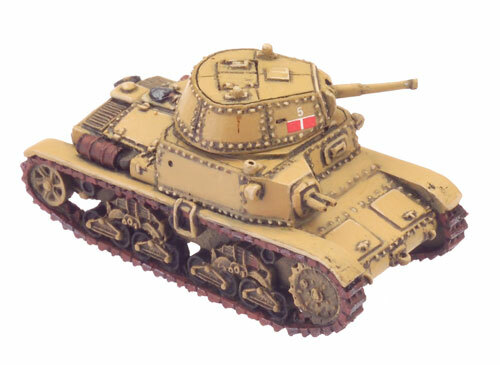 In the Balkans and early on in North Africa the Battalion number in roman numerals can be found under the rectangle, quite often these tanks have no tank number and their markings are on the side and rear of the hull. To avoid the over vigorous wheel clampers found in Roma you may like to paint the vehicle registration plates on your tanks, these are white and are found on the front an rear of the hull. 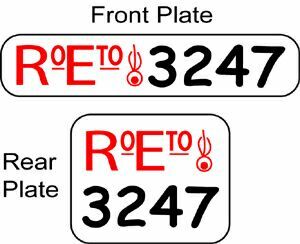 These have ROETO (Regio Eserito; Royal Army) and a flaming grenade in red followed by a 4-digit number in black (see illustration). These registration plates were used on all Italian Army vehicles, so feel free to paint them on your trucks and cars as well. 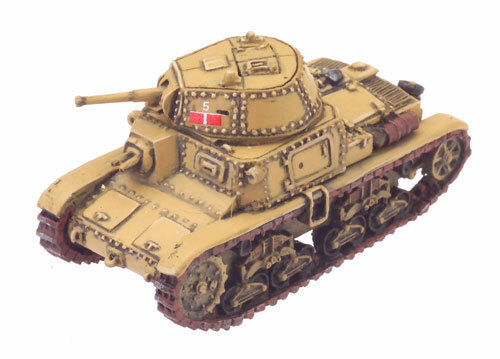 The Italians used three different colours to camouflage their tanks. The base colours used were Sabbia (Sicily Yellow (FWP362)) used in the desert and Italy in 1943, or Grigio Verde (Heer Green (FWP340)) in the Balkans and Russia. Grigio Verde and Terracotta (Devil Red (FWP381)) were used as disruptive colours over Sabbia in Italy, Grigio Verde over Sabbia in North Africa. I use FWP colours and I found using the equivalent colour as the base coat before highlighting left my tank looking too light. So for my desert Italians I used Dry Dust (FWP364) as the base coat before highlighting in two stages with a mix of Sicily Yellow (FWP362) and Army Green (FWP342) , then just Sicily Yellow. Well, I hope this helps those of you with Italian forces for Flames Of War.